At Skies Magazine, aviation is our passion. That’s why our team is so excited to announce the winners of the 2018 Skies Photo Contest! The Grand Prize in the magazine’s fifth annual photo contest goes to photographer Stuart Sanders, who lives on B.C.’s beautiful Vancouver Island. For as long as he can remember, Stuart has been fascinated with aviation. In 2001, he brought along a camera when he attended his first airshow. The rest, as they say, is history. There’s no doubt that Stuart’s powerful photo of the 2018 CF-18 Demo Hornet performing at the Abbotsford International Airshow hits that mark. Stuart takes home a beautiful Hamilton Khaki Aviation X-Wind watch valued at $1,750. 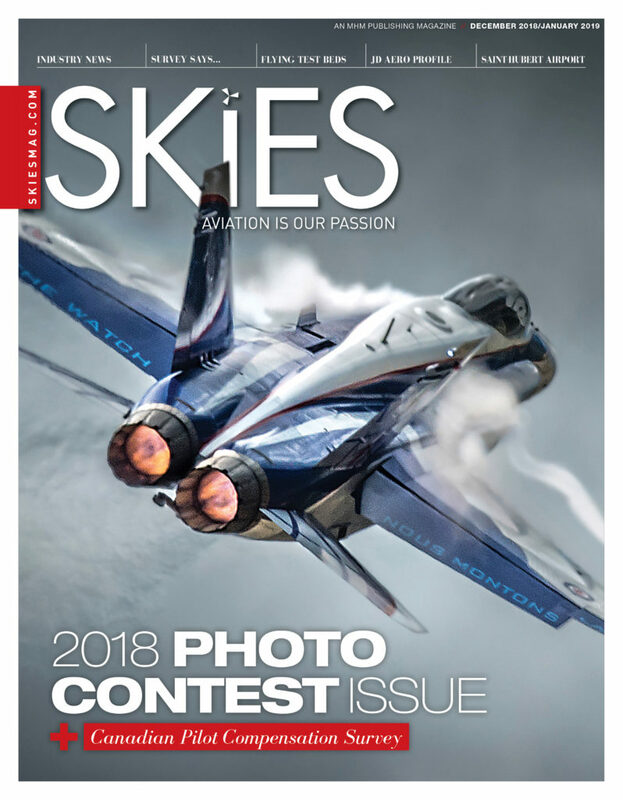 Plus, his winning photo graces the cover of the December 2018/January 2019 issue of Skies (now available online). This issue also features the top three photos in each of the competition’s three categories. Our digital edition also includes a selection of honourable mentions, too! Skies 2018 Photo Contest from MHM Media on Vimeo. The category winners were Simon Blakesley (first place, Military), Derek Heyes (second place, Military), Joe Letourneau (third place, Military), Daniel Acton (first place, General Aviation), Bill Campbell (second place, General Aviation), Melanie Veilleux (third place, General Aviation), Brian Losito (first place, Commercial), Peter Hunsinger (second place, Commercial), and Jan Jasinski (third place, Commercial). The first-, second-, and third-placed photographers in each of the three competition categories have won prizes of $500, $250, and $125, respectively. 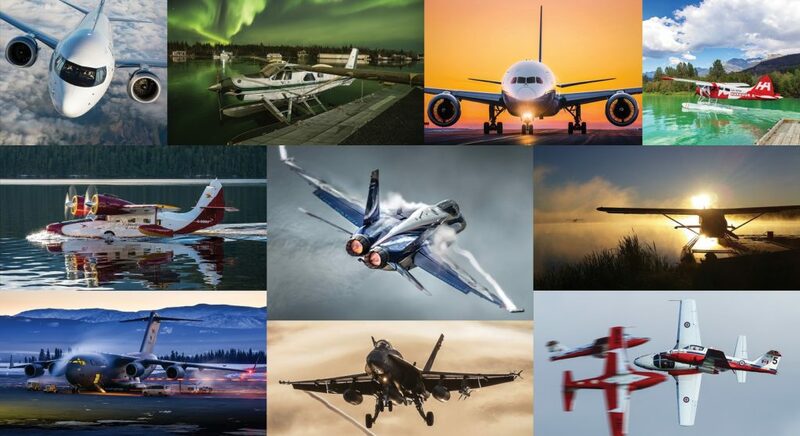 The 2018 Skies Photo Contest was proudly sponsored by Bose, Cascade Aerospace, Columbia Air Services, Daher, FlightPath International, Hamilton Watch, Innotech-Execaire, Keystone Aviation, Levaero Aviation, Pratt & Whitney Canada, and Universal Avionics Systems Corporation. Read the Dec/Jan issue here.